Josie's Juice: Facebook hack: are you affected? And so, the social media network used by 87 million of us worldwide has been well and truly HACKED. And Facebook is about to tell you if your data was swept up in the 'Cambridge Analytica' scandal. 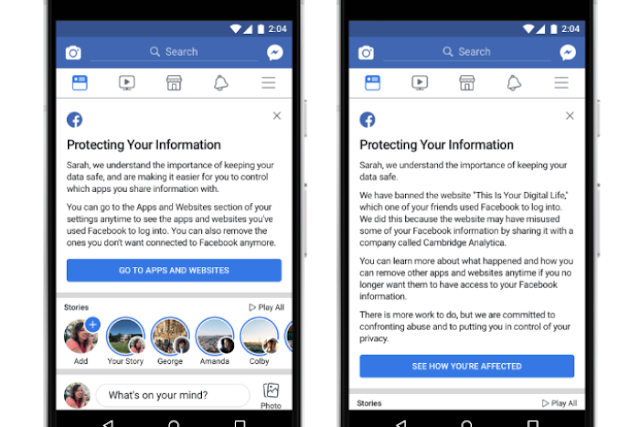 The Facebook users who might have had their data shared are supposed to get a detailed message on their news feeds starting today. More than 70 million of the affected users are in the US, but more than 300,000 Australian users have had their personal info exposed too. YIKES! Every Facebook user will get a notification about protecting their information, whether they've been affected or not. Mark Zuckerberg, CEO and Founder of Facebook, is about to testify before US Congress about the scandal. He has already stated that Facebook has notified all affected users. Those remarks are set for Wednesday morning US time, so that means everyone who was affected should see a message by then.